Rehoboth Beach henlopen acres Delaware Real Estate for sale - Delaware Beach Real Estate. Displayed below is an index of available Rehoboth Beach henlopen acres Real Estate Properties currently offered for sale. 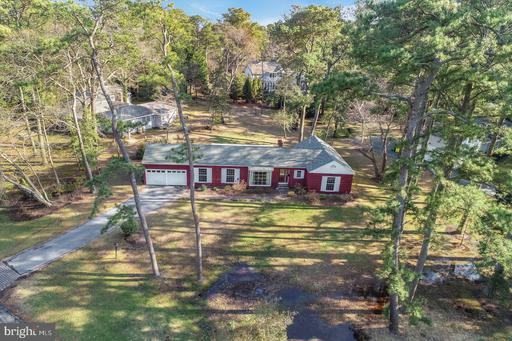 Click on the property photo or the address for each individual Rehoboth Beach henlopen acres Delaware property full details, satellite map of the location and all amenities. For a more detailed & refined search of all Rehoboth Beach henlopen acres Real Estate Properties on the Multiple Listing Service (MLS) consider using the detailed search page located here: "Detailed Real Estate Properties search." 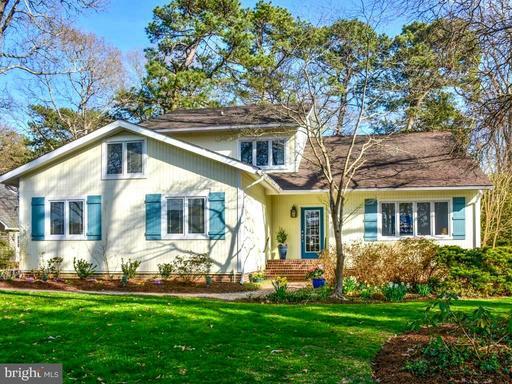 Rare opportunity to own a turn key property in the highly coveted, coastal community of Henlopen Acres. Located on the North side of Rehoboth Beach, the home is walking distance to restaurants, entertainment and the boardwalk as well as the Art League, marina, beach, state park, Gordon~s pond and bike trails. The home features 5 bedrooms, 3.5 baths plus an additional indoor shower and outdoor shower, large main living/dining area with gleaming hardwoods and wood burning fireplace, first level owner~s suite, eat-in kitchen with granite and stainless appliances, large laundry room with ample storage, and an expansive Florida room flanking the private rear of the property. All of the rooms are large and filled with natural light. The entire interior was freshly painted in calm, coastal colors. New carpet was installed in all 5 bedrooms and the hardwood floors were freshly refinished. The yard is filled with mature trees and manicured beds. Off street parking includes a side facing garage and asphalt driveway accommodating 7 vehicles. The community affords peaceful and quiet enjoyment away from the madding crowds with an award-winning tree canopy. Outdoor enthusiasts will enjoy utilizing the kayak storage and launch from the marina, paddle boarding on the canal, fishing and crabbing from the docks, boating, hopping the bike trail to Lewes or strolling the beaches and trails in the state park. The private Henlopen Acres Beach Club provides daily chair and umbrella service, club house with restrooms and kitchen facilities, beverage service, expansive ocean view decks for dining, showers, 2 new tennis courts, beach volleyball, basketball, and loads of activities, classes and social events for all ages. Come preview the home today as this is the perfect location to call home for all or part of the year and to start creating lasting memories with your family and friends this summer. Situated on over a half acre in the highly sought after Henlopen Acres, 7 Broad Hollow offers endless possibilities in a prime location. Just two blocks from the private beach, this corner lot is decorated with beautiful mature trees creating a serene setting. Step inside this charming rancher to find hardwood floors, knotty pine, exposed beams and a brick surround wood burning fireplace. Additional features include 4 bedrooms, 2 full baths, an updated kitchen with granite countertops and a spacious screened porch. Enjoy walking to all the restaurants and shops that downtown Rehoboth has to offer, the Henlopen Acres Beach Club, marina and Rehoboth Art League. This home is ready for your personal touch or an excellent opportunity to build your new dream home at the beach.